12 alien vessels arrive on various places on Earth, the aliens don’t speak English, US government hires a linguistics professor and a scientist for alien communication, humans find out communication is hard. 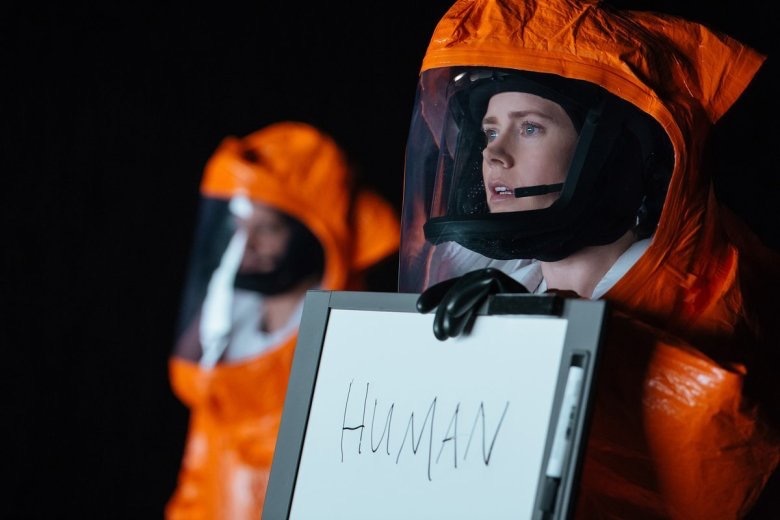 The Acting: Amy Adams does great acting throughout the entire film. Adams has perfected the use of facial expressions to express what the character is thinking and feeling. In this film, sometimes words aren’t necessary to convey human behavior and meaning. Plot: interesting and mysterious, keeps you guessing what’s going on. Visuals: this film has breathtaking imagery, lot’s of eye candy. The Aliens: new take on what aliens could look like, fun to watch them interact. Film Length: the film is a bit slow in some parts and maybe 15 minutes too long. Plot Progression: the film can get a little confusing and hard to follow towards the middle, it’s a film that requires you to think while watching (I personally liked that, but some viewers may not). Interesting movie if you are looking for a different type of sci-fi film, but not worth the movie theater ticket price…wait until it’s available to stream at home. Previous *Check Out This Review of The Hunger Games!